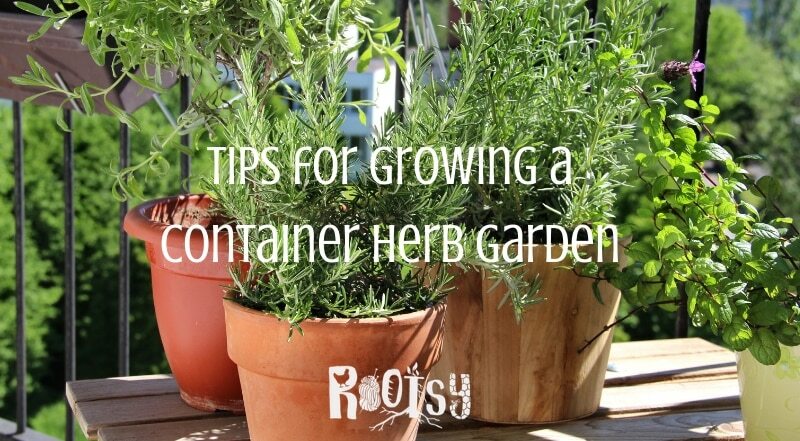 There are many reasons to grow a container herb garden. If you life in a cold climate you can grow herbs inside in a container. If you don’t have much space for gardening, you can grow herbs in containers on the patio or balcony. Even if you have room in your vegetable garden to grow all the herbs you want, you might want to grow the ones you use most for cooking in containers near the house. 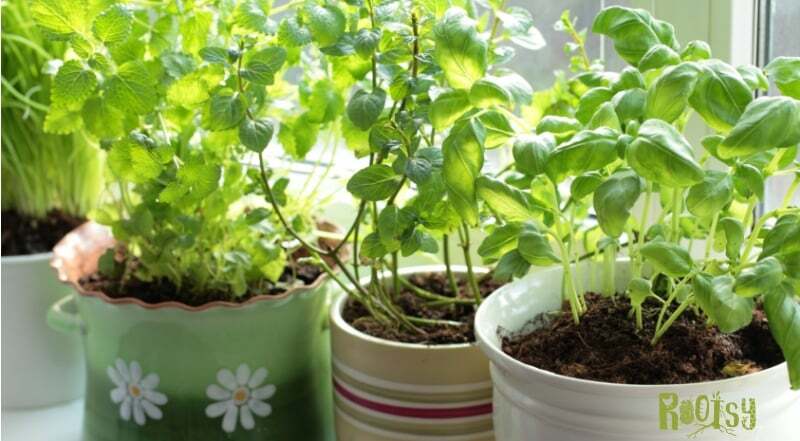 Growing herbs in containers is easy when you follow these few guidelines. The size of the pot you use for your herbs will be one factor in how large the plant grows. If your growing the herbs indoors and want to keep the herbs small, then use a container that is 4″-6″ across. If your growing herbs outside and want them to grow to maturity, then use larger pots. As long as the container has holes for drainage you can use any container. Most herbs don’t have large root systems so smaller containers will usually work just as well as large containers. However, since there’s less soil in small containers you will need to make sure to water the herbs regularly. Basil, parsley, and cilantro like deeper pots, so use something that is 18″ deep, if possible. Creeping herbs, such as creeping rosemary and thyme can be grown in smaller pots. The same is true for dwarf varieties such a spicy globe basil. If you buy herbs from a nursery, don’t leave them in the pot they came in. Repot them in a container that is about twice as big as the one they came in. You don’t need to buy expensive pots for your container herb garden, look around your home and see if there are any containers you can upcycle for your herb garden. One thing I like to do is use old nursery pots and insert them into a metal coffee cans rescued from the recycle bin. If needed, I put a few rocks in the bottom of the can to life the nursery pot up off the bottom. Sometimes I spray paint the cans or wrap them in cotton rope but sometimes I just leave them plain for a rustic look. While herbs like to consistent watering, they don’t like to be continually wet so loose, fertile soil is a must for container herb gardens. You can use a high quality potting soil, or make your own potting soil mix, but don’t try to use heavy soil from your yard. 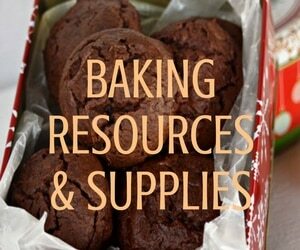 If you want to make your own potting soil, here’s a great article from Pen State University Extension on how to do it. When planting the herbs in the container, mix some compost or well rotted manure into the potting soil. This should be plenty of fertilizer for the herb, if herbs are fertilized too much their quality will actually reduce and they won’t be as flavorful. When herbs are in pots they will need to be watered more often then when they’re planted in the ground. If you have them outside you will want to check them daily to see if they need watering. To check the potted herbs, simply put your finger into the soil, if it’s moist it doesn’t need watering. However, if it’s dry beyond the very top layer of soil, then it needs watering. If the soil is pale or pulling away from the sides, it needs watering. If the planting looks wilted, it needs water. If you’re going on vacation or are growing your container herb garden outside you might consider using self watering sticks to keep the herbs watered. There are several different kinds. My favorite are the terra cotta spikes and the glass watering globes. Planting several herbs together in one pot makes a convenient and really nice arrangement. You’ll want to make sure the pot is big enough to support the herbs and that all the herbs in the pot have similar watering needs. Herbs that like the soil to remain moist are chervil, cilantro, lemongrass, mints, and parsley. Herbs that like to just barely dry out before being watered again are basil, chives, and dill. Herbs that prefer the soil to be on the drier side are oregano, rosemary, and thyme. To add visual interest make sure to select herbs that are different heights and even some creeping varieties that will cascade down the side of the container. If you’re going to add mint to a container with other herbs, you can contain the spread by putting the mint in a smaller pot and then planting the whole pot in the container. This will help keep the mint from taking over the container and give all the herbs adequate space as they grow. Herbs do better when they’re harvested often, so don’t be afraid to snip leaves regularly. Some herbs, like basil, mint, oregano, and stevia, grow upright on a stem and if you want them to branch out you need to snip off the tip. There more you harvest, the bushier the get. Other herbs, such as chives, cilantro, parsley and lemongrass, grow in clumps. You’ll want to harvest the outer leaves first and work your way to the center. These will continue growing from the center, so there will be plenty to pick. Herbs produce edible flowers which bees love. But some herbs will loose their flavor or their flavor will change once they flower. Harvest basil, mint and stevia before they flower. If you notice a flower forming, just snip it off. Chives and pineapple sage flower all season long and the flavor of the leaves remains the same. 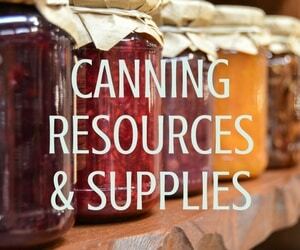 Harvest and use the leaves and flowers regularly. 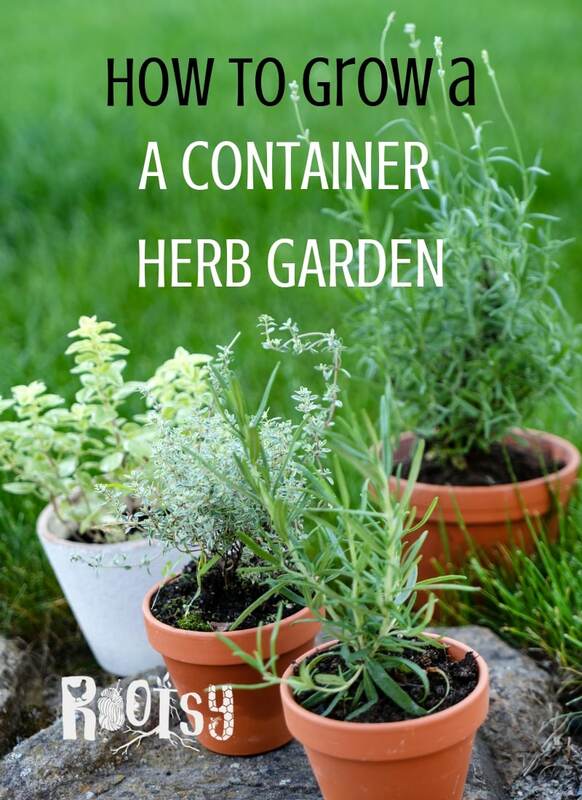 Do you grow container herb gardens? What are some of your favorite herbs to grow in containers?